Long ago, they were safe. But that was long ago. 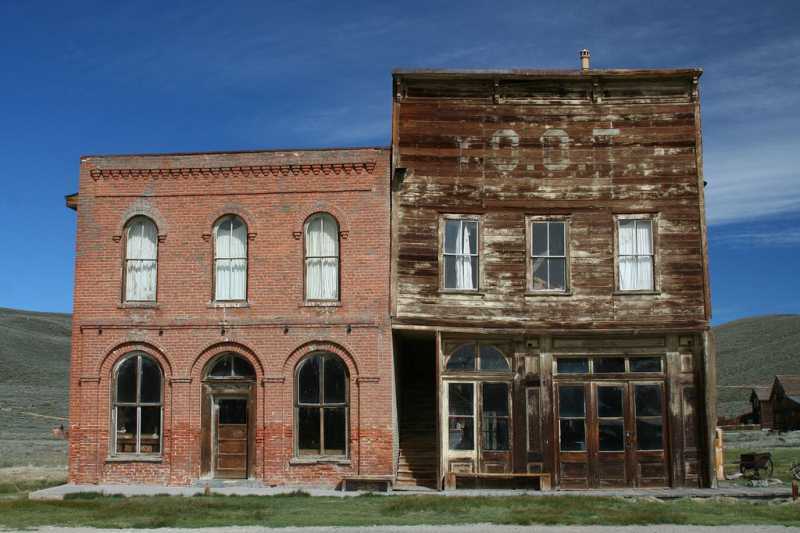 Now, you’ll be all alone if you enter these buildings. Alone with the souls that lurk invisibly. But what if they’re not always so invisible? Are you ready for a glimpse of a floating ghostly figure? The visage of a long dead person? 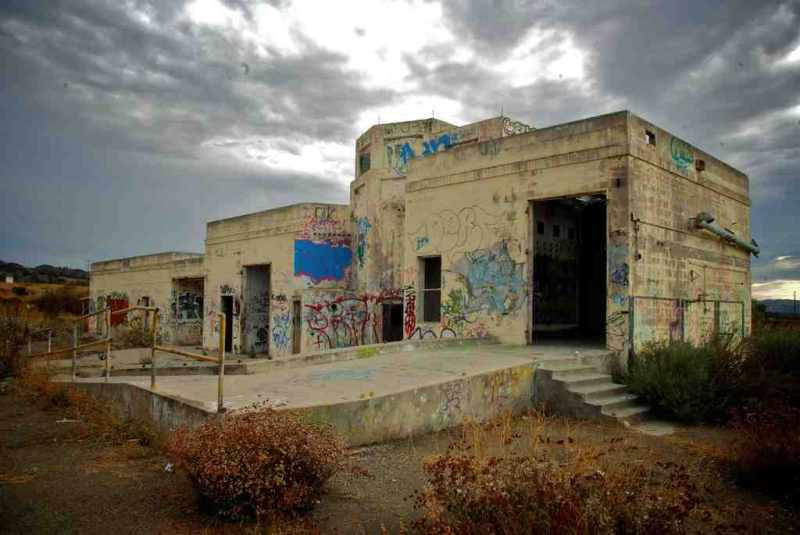 These ten abandoned structures will give you the paranormal adrenaline rush you crave. 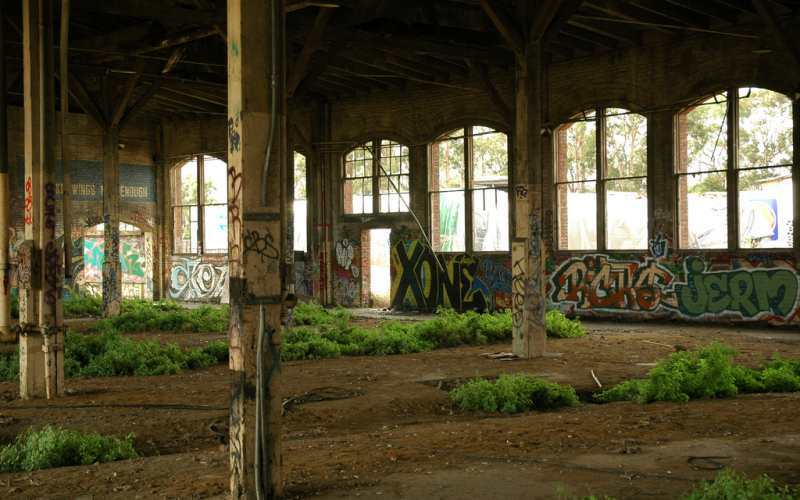 The graffiti may be colorful, but this abandoned train yard is dark and foreboding. 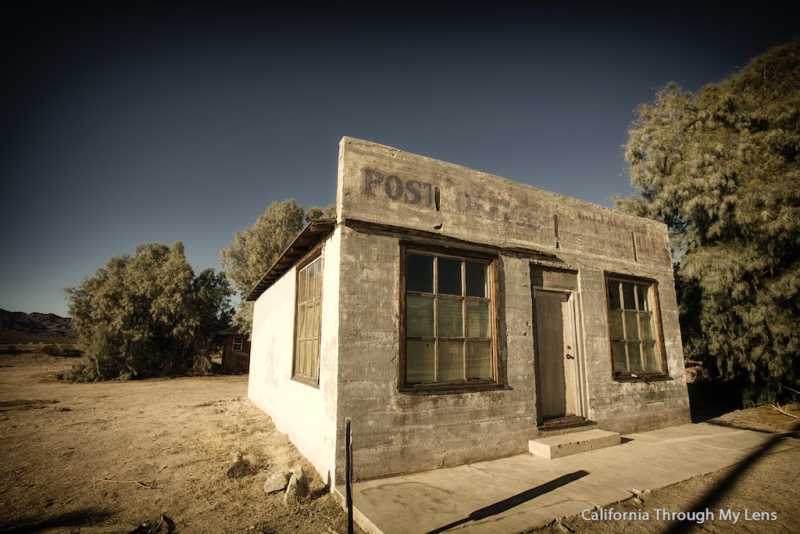 Troubled spirits tend to feel at home in crumbling, dangerous structures, and this building rattles with low moans. The most notorious spirit is known as Hat Head, because he appears to be a hobo, often found sitting against one of the inner walls. But he’s importantly missing his head, with only what looks like the form of a fedora in its place. 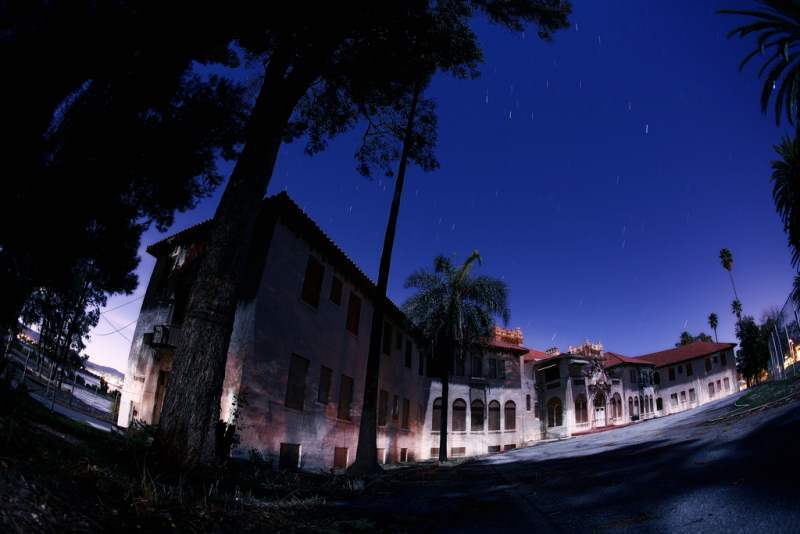 Years ago, a teenage boy went into this abandoned insane asylum and was never heard from again. Is it he who visitors hear rattling the walls? Is it he they see scuttling about the floor, kicking at the walls? If you enter, will you be the next not to return? Maybe your boss at the mine is mistreating you. Maybe it sounds like a good idea to hurl him down a shaft for revenge. But you just may be creating a furious spirit. Those foolish enough to enter have found bricks and rocks flying around the abandoned building and to hear the pounding of charging footsteps. Only one or two have seen the ghostly form itself. Laurel Canyon is creepy enough, never mind the home of a dead magician. What’s left of his old Laurel Canyon mansion is rubble and ashes. Why do objects seem to move at will among all of this? Why do people hear groaning at night? And why do select people see what they think is the wizard himself walking through the ruins? A family ran this amusement park hidden way off the beaten path. They no longer do, and it just grows weeds. Or is there a lot more activity going on? Legend has it that sometime in the 80’s, a couple was trying to get down and dirty on the scrambler when the woman’s head, hanging out the side of the car, got whacked off. Her ghost, with its clothes strategically out of place, has been seen running around the hilly grounds, probably looking for its head. 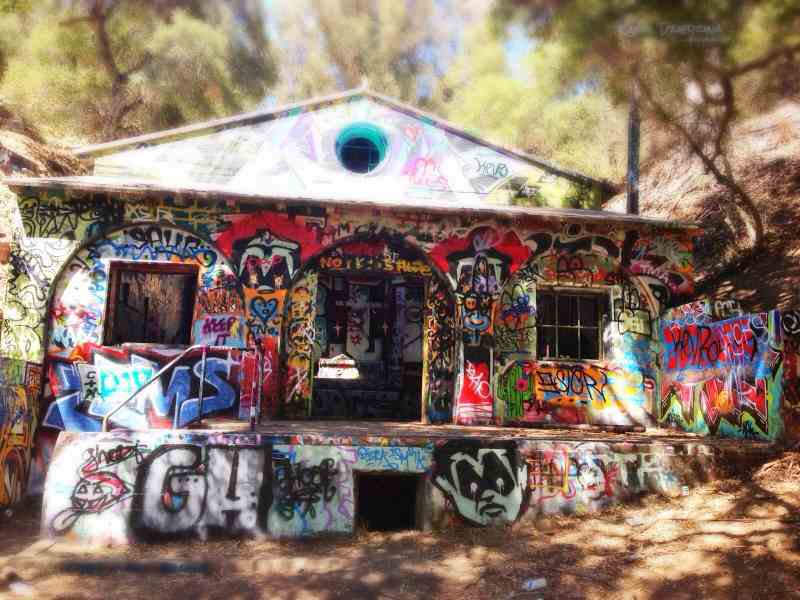 In the 1930’s, a bunch of American Nazis built a house in the woods outside Los Angeles. How’d that turn out? Well, the building is now abandoned. Some would-be graffiti artists have been astonished to find a ghost dog whimpering in the corner. Others have reported seeing fires burning on the wooden floor but not consuming it. These small fires would be snuffed out spontaneously. This depot has a relatively sordid past. One of the lurid events was a man hanging himself in one of the rooms. Today, visitors can see a stain on the wall. But there’s also a certain amount of screeching and screaming coming from the room. 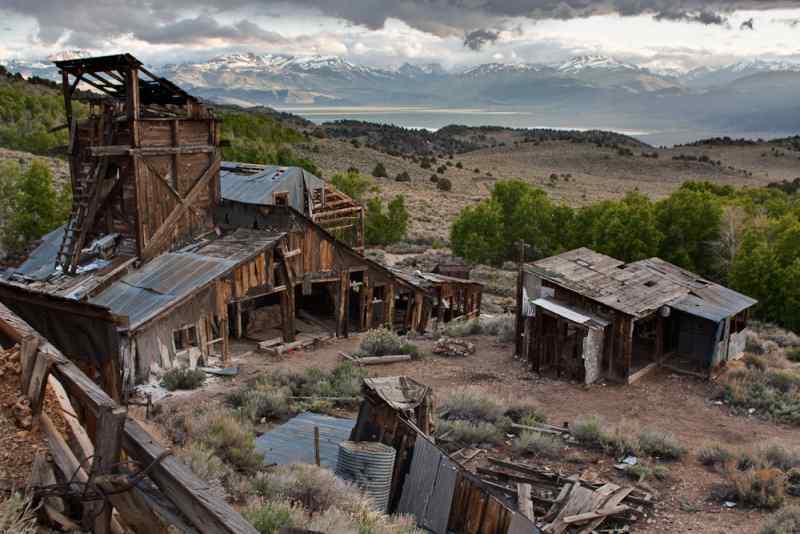 Bodie is a famous ghost town, a monument to the gold rush. It was deserted in the 1910s. The dusty saloon has been troubled. It is the sight of chairs sliding swiftly across the floor. What’s odd is bursts of water appearing in mid-air, as though a water balloon has been popped. The ghosts in this burned out building are especially terrifying. Some of them appear as fragmented, as though having had holes burned through them. In fact, some of them disappear as soon as seen, just like so much smoke. Nothing about this place is cheering, and it’s not a place for nine holes of golf. This building is as haunted as haunted can get. It is the home of shining wraiths that shimmy down the center aisle. It in fact is the home of shadows of animals with red eyes. Some believe them to be hounds from hell. Psychic sensitives have reported a “vortex” within the building. It’s rumored this vortex is a gateway between dimensions or perhaps a portal to hell itself. 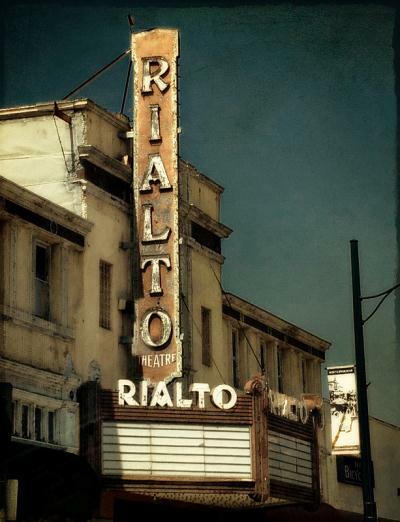 Check out one, or all, of the haunted buildings on this list. When you get back (if you get back), let us know your experience in the comments below.